The Paris Bistro & Zinc Bar (1500 S. 1500 East, 801-486-5585, TheParis.net) is celebrating the warmth of summer with a special Provençal menu showcasing local produce with a French flair. Among the Summer in Provence offerings are dishes such as fried zucchini blossoms stuffed with goat cheese and sweet basil, and Provençal flatbread served with heirloom tomato sauce, local garlic, roasted eggplant, grilled red peppers, zucchini, Niçoise olives, chèvre and herbs de Provence. Additional menu items are beef daube Niçoise; herbs de Provence-rubbed lamb chops with white beans Provençal; bouillabaisse; honey-lavender-glazed Mary's chicken breast; and apricot tart. Tucked away—blink and you'll miss it—in a strip of stores behind the Lowe's home-improvement store in Layton is a new venue for scoring a Philly cheesesteak: Chef D's Philly's (1868 N. Heritage Park Blvd., Suite A, Layton, 801-776-1889, Facebook.com/ChefDsPhillys). This is a respectable, authentic cheesesteak made with rib-eye beef. And you've gotta love that the standard cheesesteak ($8.50) comes with gooey Cheez Whiz, as God intended. Sandwiches with chips and a drink are $9.99, and combo meals with fries and drink go for $11.99. Other sandwich options include French dip, meatball sub, blackened chicken with lime-basil aioli, hot ham & cheese and grilled cheese. 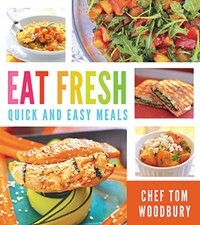 Holladay-based TV chef Tom Woodbury has published his first cookbook: Eat Fresh: Quick and Easy Meals ($18.99, CookWithTom.com). 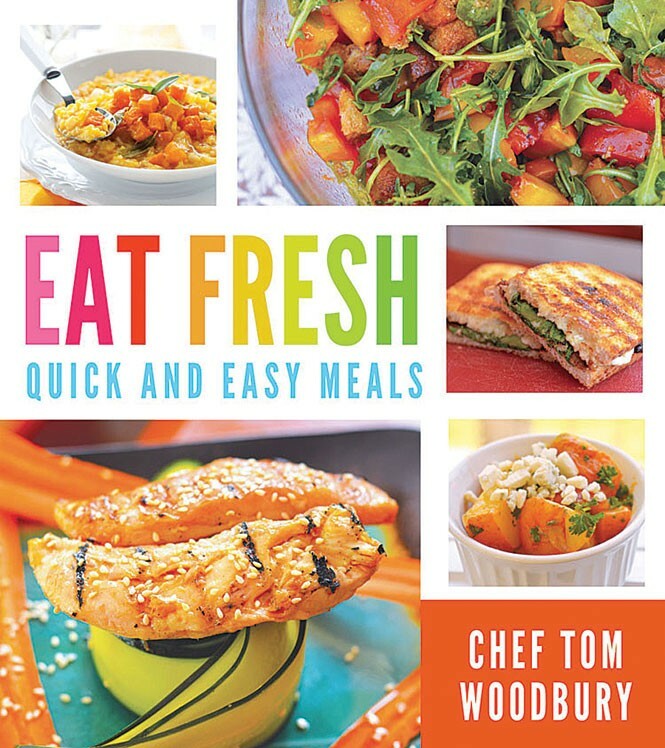 This small paperback packs a big punch, with 120-plus recipes that run the gamut from breakfast dishes like baked pancetta eggs to sides such as hazelnut Brussels sprouts and herbed spaetzle, and tasty main dishes such as New Delhi meatballs, chicken yakitori salad and spicy Hawaiian dogs. For dessert, there are can't-miss recipes for easy baklava, brie apple pie, grilled strawberry shortcake and many more.